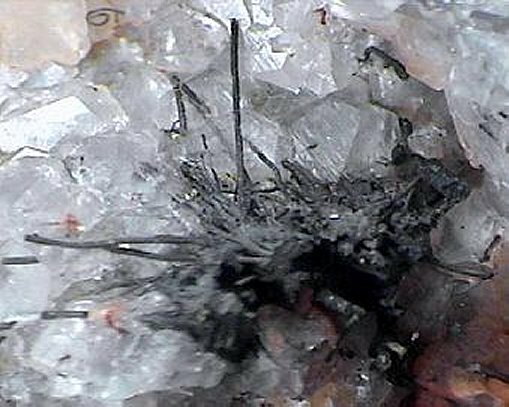 Comments: 1.5 cm spray of hair-like Stromeyerite crystals on quartz and calcite matrix. Location: Vrancice near Pribram, Czech Republic. Scale: Picture size 2 cm.